National Read Across America Day is March 6 and the celebration is starting early. 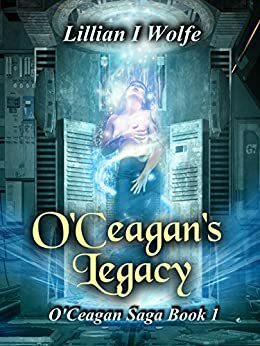 My science fiction adventure novel, O’Ceagan’s Legacy, is part of a big speculative fiction giveaway hosted by author Kimberly Iverson. It is live as of today, so hurry over to pick up some great reads for free. It will vary by author, but most of us are asking for a sign up to our mailing list in order to download. My short story, The Wizard’s Gift is also featured in this giveaway. I also ask, nay- beg, you to consider writing an honest review of my book if you download and read it. You can post your review on Amazon, Goodreads, Instafreebie, or any other location you prefer. Reviews are very important to a writer. In order to get exposure from sellers, such as Amazon, Apple, or other books sales sites, you need to have reviews. The more positive ones, the better, but I just ask for your honest opinion. Please consider writing one or at least rating the books you read. Thank you. In the next few days, I will be posting short interviews with three of the writers participating in this giveaway, including Kim, so look for those. Don’t waste time. Get to the page above and grab some good reads! Happy reading, my friends.